The beta of Fedora 27 is finally set to be released today. Here's a look at the new features of Fedora 27. - First and foremost, Fedora Workstation 27 has in GNOME 3.26. That alone adds a lot of new desktop features as well as better Wayland support, improved display handling, and other work as outlined in that linked article providing a feature look at the recently released GNOME 3.26.0. - Fedora 27 has continued the Flatpak push. - Pipewire will be experimental in Fedora 27 as the "PulseAudio of video." - RPM 4.14 is present as is glibc 2.26. Golang 1.9 and Perl 5.26 are among the language updates. - 32-bit UEFI support is finally available for the few systems needing 32-bit UEFI support on 64-bit hardware. - Continued work around modularizing Fedora itself and the Fedora Modular Server. - AArch64 single board computer disk images are now being produced. - Java 9 is available as a tech preview in F27. 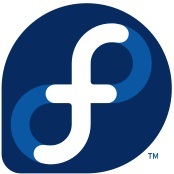 Stay tuned for more Fedora 27 feature coverage and benchmarks in the coming days and weeks on Phoronix. If I missed covering any other interesting Fedora 27 changes, feel free to point them out in the forums. Fedora 27 is currently scheduled for its official release on 7 November, assuming no further delays.